So welcome to the beautiful "Island Butterfly" Apartment at Sir Charles Suites. This well-maintained building, nestled on beautifully landscaped grounds, houses three suites including "Island Butterfly." Painted a bright tropical green, the welcoming feel of the exterior is extended indoors. Well appointed, tastefully decorated with a comfy, cozy, clean quiet "at home touch," every amenity is considered. The suite is housed in Sir Charles House which comprises three suites and is immaculately kept. Each bedroom has its own en-suite full bath and the unit is also complete with a full kitchen and living and dining space. For your in-house entertainment, the living room is also complimented with a 42" flat screen TV. Wireless Internet is provided and ceiling fans and split AC units are in every room. Additionally, the unit boasts its own stacked washer/dryer and separate driveway. The King bedroom is convertible to a twin bedroom upon request. Beach towels, chairs, coolers and umbrellas are provided and a shared deck (used by other apartment renters) allows for relaxing or lounging in the warm sun or simply cooking up something succulent on the large propane operated grill, which is available upon request. Kayaks are also available for daily rental. Additional suites are also available, one and two bedroom. See separate listings for Tropical Sunflower and Lily suites. As an island or Seaside girl as those of us from South Palmetto Point, Eleuthera are known, I attended and graduated from both elementary and high schools in Palmetto Point. Immediately after completing high school I went to work for the country's telecommunications company as the first female technician to the island of Eleuthera. I continued working in Eleuthera for 8 years and later moved away to further my education while working. Obtaining an Electronics Technology Diploma and a Bachelor's Degree in Business I was promoted through the ranks and went on to serve in supervisory or regional and senior management capacities on various other islands of the Bahamas for the next 22 years. After 30 years of service, I opted to retire and return to my hometown in 2012, a goal I had yearned hard after. Sir Charles place is therefore the fulfillment of a vision. I enjoy serving the needs of guests in a community way, just as my dad did. I was born and raised in South Palmetto Point and my fondest memories of life are connected with this town and Island. For educational and economic opportunities, I moved away and lived and worked on other islands of the Bahamas, but always looked forward to the day I could return and contribute to building my hometown in an organic way. I did just that in 2012. This house, completed in 2013 is dedicated posthumously to my dad Charles Clarke, of whom I have personally knighted as 'Sir Charles', not because he achieved some notoriety by world's standards but simply because he accomplished the greatest thing in the world to me; he was a great dad and father. He had little, but he worked hard in many capacities to provide for his family. Through his example as a quiet unassuming man, he taught us the value of hard work, honesty, integrity and love for God and our fellowmen. Daddy served in the tourism industry up and down the island of Eleuthera for many decades as a taxi driver, clearly loving what he did; this was evidenced in the respect he afforded others. As a daddy's girl, I could always be found foot to foot behind him whether in the boat fishing, on the farm or going along for the ride as he taxied guests around. Unfortunately, the construction site was off limits to me. So it is no wonder, I found a way, in his physical absence to construct anyhow. This house is built on the route that daddy drove home to us every day and I have commissioned it 'Sir Charles Guest House' to honor his legacy. Charles Blair Clarke (1922-1986). So my 'Why' for this property is - I love daddy, I love what he taught me and I am committed to serving others hopefully as well as he did His legacy lives on! To Daddy! 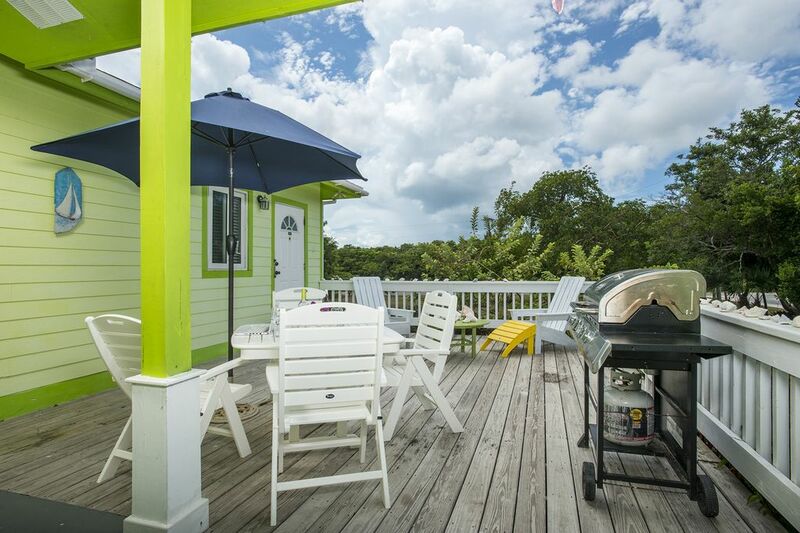 Eleuthera's balmy breezes can be felt no matter where you are. The rolling hills, dangerous, yet breathtaking cliffs, bright sunshine, beautiful blue and green warm waters, pristine beaches, friendly natives and slow pace all combine for the kind of therapy the doctor orders. The ability to grow what I eat in the rich soil, hear kids playing in the streets, shinny up a tree, play hopscotch in the street, catch a butterfly or a fish, go land crabbing, black or coco plumming , letting the sound of waves and the sea lull me to sleep at night or even watch the local dogs frolic in the street are all things remembered and many enjoyed still. Not to mention, Eleuthera's rich history, from the Arawaks to the Eleutheran Adventurers and the island's apropo naming - Yes, Eleuthera is truly Freedom!!. 5-7 minute walk through the community to the Seaside Beach on the Caribbean Drive and a 5 minute Drive through the community to the Beach on the Atlantic. 10 minute drive from the island's historic capital, Governor's Harbour. Mate & Jenny's Pizzeria almost across the street, 3 J's Grill 3 minutes walk and the surrounding area features a cafe, nature park, fine dining restaurants - Tippy's and the Beach House and native diners. Small community of South Palmetto Point with the Seaside Beach a 5-7 minute walk away. The miles long Atlantic Beach is approx a 5 minute drive away. It was an enjoyable relaxing stay! It was a beautiful property with all that you would ever need close by! Every Friday Night Fish Fry & Entertainment at Anchor Bay, Governor's Harbour. In walking distance is the 3 J's Grill every weekday for lunch and on Friday nights there is a great BBQ grill which begins at 5pm attracting locals and tourists alike. Some restaurants in the area feature live bands. There are also seasonal events - please inquire about them, such as Junkanoo Cultural Festival (December & January), Jazz Festival (March), Ride For Hope Major Cycling Event (March).